Ingress was designed to work with MySQL database, which is known to be powerful, reliable and is widely used by many other systems. The downside of MySQL database is that the configuration requires advanced IT knowledge. It is important to take regular backups of the databases of the Ingress software. Should the software crash or the hard disk of the computer malfunctions, all of the contents in the software as well as the settings will be lost. Only with a backup can all the data be restored. By using any MySQL manager, admin or GUI tool, the time needed to backup or restore large databases can be reduced tremendously. The time can be used to set up the software again. The MySQL Manager is inexpensive to use and you can obtain it for free by downloading from the Internet. 1) Once you have installed the SQL manager, run the program from the desktop shortcut. This is the first window you will see. a) Click the button on the top left labeled New. A window will appear asking for the name of this connection. Provide the connection name and click OK to continue. 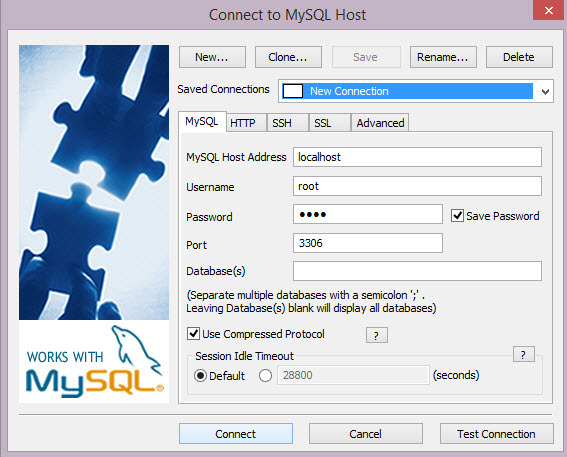 a) Provide the IP address of your database in the field labelled MySQL Host Address. b) Provide your database username and password in the appropriate fields. c) Enter 3306 in the Port Column. d) Click Save, then click Connect. 2) Now that you have connected to the database, you can proceed to make a backup of your database. 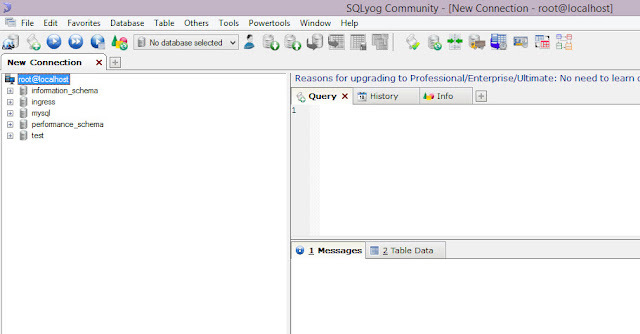 You should be able to see on the left panel of the window a list of the available databases. 3) Select Ingress and right click on it. This will cause a menu to appear. 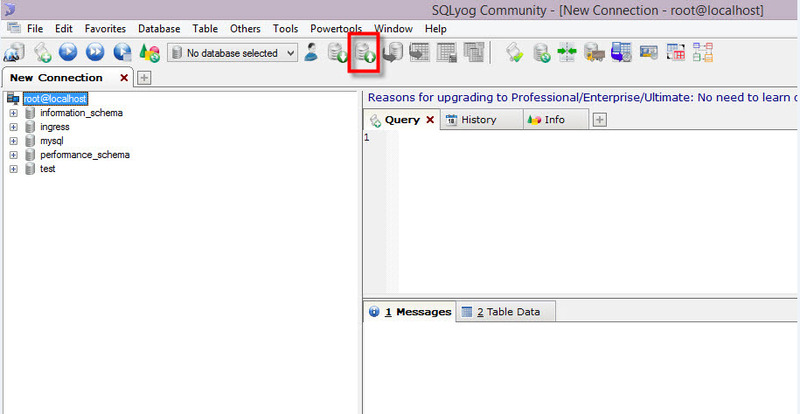 Find the option labelled as 'Backup Database as SQL dump ...' and click it. both. Make sure both is selected for the backup to be successful. an appropriate folder to store your database backup. program will inform you when it is completed. 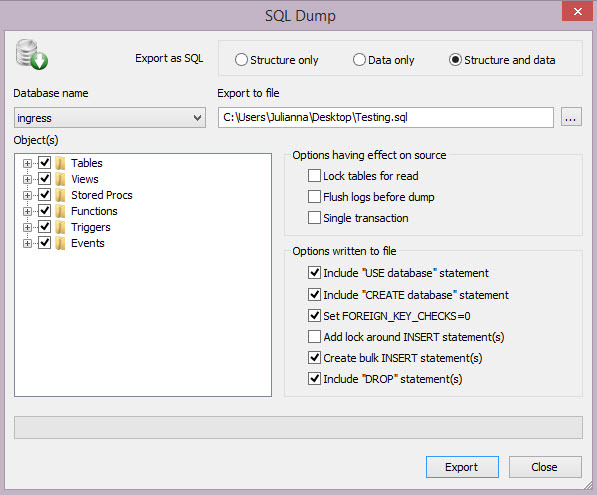 the DB menu near the center top of the window then click on 'Restore from SQL dump ...’. 2) Click the '...' or ellipsis button and find the database backup that you have saved and open it. 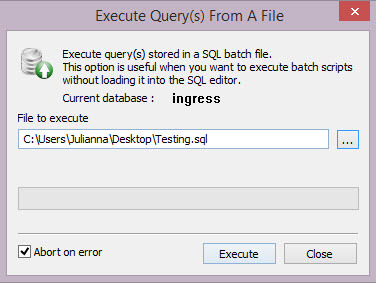 Once you have found the database, click 'Execute'. This will recreate your database into the software and the restore process is complete.